If you can send emails but you cannot receive them, it is likely that your domain is over the quota or your email address itself is over the quota. You will need to increase the amount of disk space in order to receive emails again. From the left menu, choose the 'Statistics' icon. Review the 'Disk Space' statistics. This section will summarise how much you used used and how much you are allocated. If you have reached your maximum allowance, you may need to consider upgrading your hosting package to receive more space. 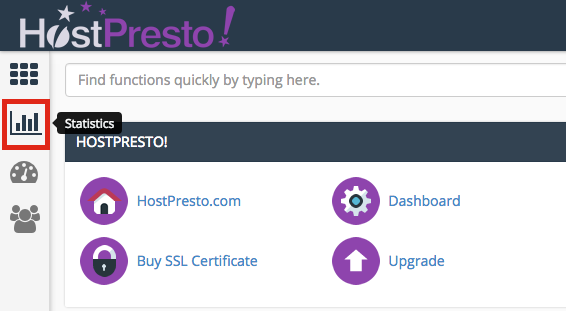 To do this, please review the Upgrading / Downgrading a Hosting Account help article. Again, log into your cPanel account. Either type email into the search box or scroll down to the 'Email' section as per the below. Select the first option shown 'Email Accounts'. In the email accounts area, scroll down to find the email account that you are unable to receive emails for. Note the coloumn 'Usage / Quota / %' which indicates the usage. If you find that the values are equal or nearing 100%, this would indicate that the quota has been met or is near being met. Therefore it is recommended to increase the quota by continuing this help article. 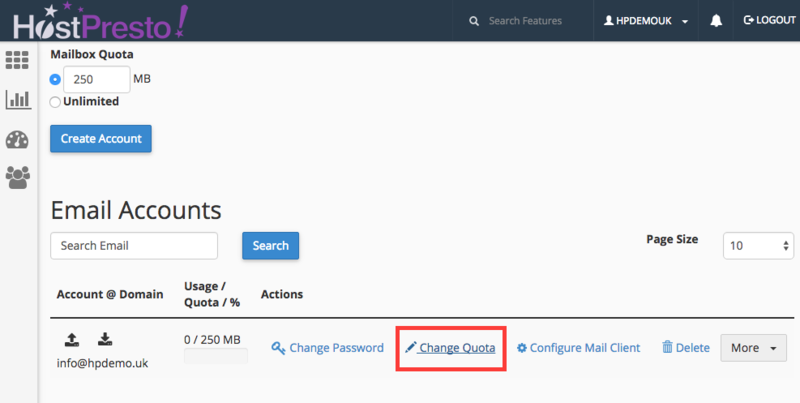 Select the 'Change Quota' option as shown. This action will then expand a new section below where the email account is shown. You can then adjust the size of the mailbox quota. If you wish, you can set a new value or you can choose 'Unlimited' which will mean the quota should never run out. Once the adjustment has been made, choose the 'Change Quota' button to complete the process. You will now see visual confirmation that the change has been completed and confirm what new value has been set. The quota has now been increased. If you have recently transferred an email address to us and you are unable to send any emails, please ensure that you've updated your MX record in the 'MX Entries' section of cPanel.